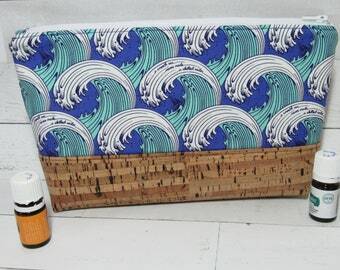 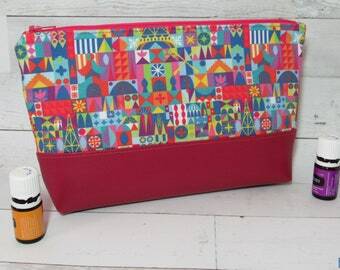 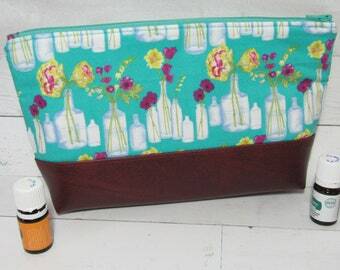 Fun and practical, this Essential Oils Bag provides padded storage for your oils, and would make a great travel pouch! This bag features a fun dots and blueberries print and is coordinated with a blue fabric base. 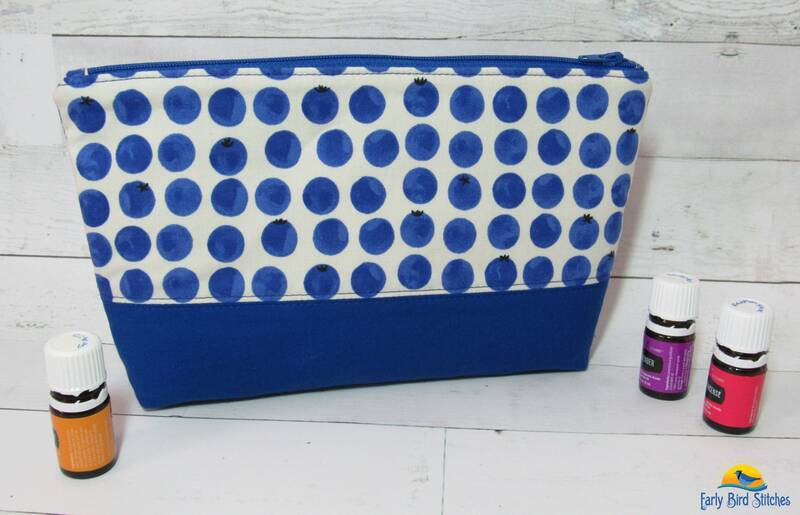 With 10 padded pockets around the interior of the bag and a 4 pocket insert that fits in the middle, you can store up to fourteen (14) 5-15 ml essential oil bottles.